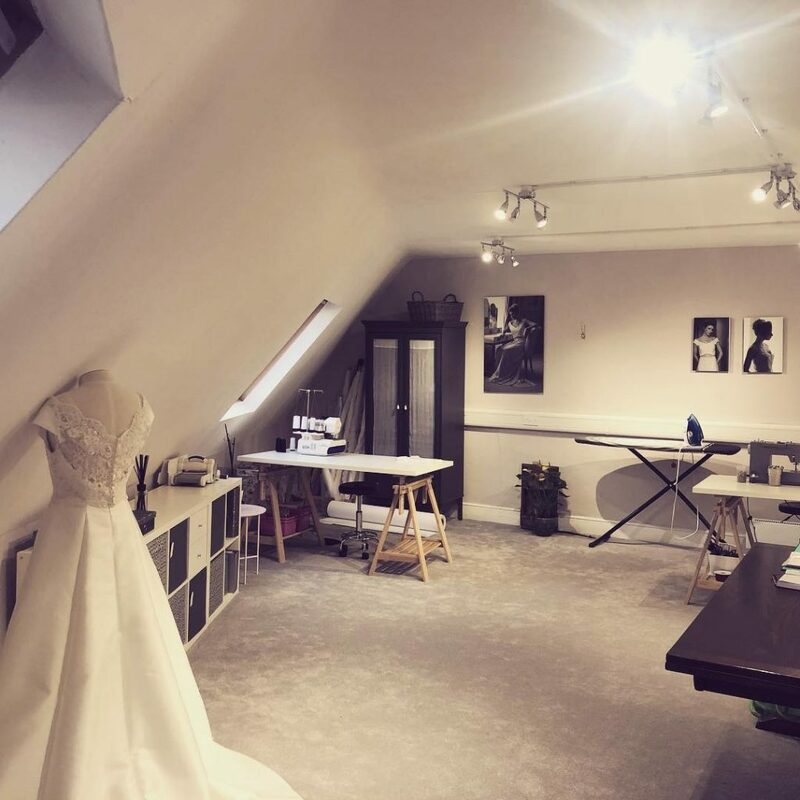 Having been a bespoke dress maker for quite a while now, I thought I would share my answers to questions I get asked a lot about the process of having a bespoke wedding dress- or any occasion dress for that matter made! A bespoke dress can be a wonderful process but it also isn’t for everyone. Most brides that end up coming to me for a made to measure dress are a bit uninspired (or equally over inspired!) when it comes to dress shopping. There are so many styles and shapes out there, which can make finding the one a hard to make a decision on what is probably the most expensive dress they will ever buy. A lot also are waiting for that infamous ‘the one’ moment that in a lot of cases doesn’t actually happen. Having tried on hundreds of dresses a lot of my brides find that they end up liking different aspects of various dresses, or the thought of stepping into a bridal shop is all a bit too overwhelming- this is where a bespoke dress could be a good option. Come and see me with some pics of details that you like- at the first appointment we will talk through everything from your venue and the type of ‘vibe’ you’re going for, to sketching out some initial design ideas and choosing fabric swatches which I can advise on to complement the dress style. 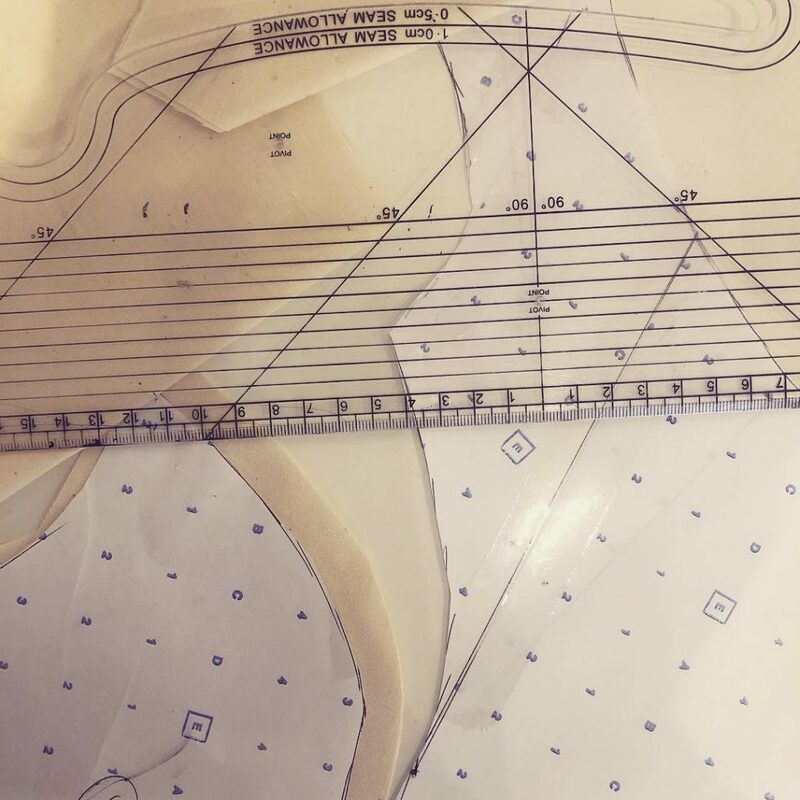 Once we have the rough initial design sketched out, I then take measurements- this is usually done 6 months before the wedding but I can work to tighter timescales if necessary! I then pattern cut the dress- every dress is pattern cut from scratch so you can literally have anything you like! This is also handy if like me you’re not the tallest person in the world and can find dress proportions can be a bit off, especially with fitted fishtail styles. After I have pattern cut the dress, I toile the pattern- this is a mock-up of the initial design in calico fabric- don’t be alarmed when you try it on as they can look a bit like a potato sack!! I promise your dress won’t. This toiling stage is to check that we are on the right lines with the fit, and that you like the style on you. Everything from neckline to sleeve length can be changed at this stage, so nothing is set in stone until you 100% love it! The next stage is a fitting with the dress in the actual fabrics, at this stage again design details can be changed as there is no fastenings or linings in the dress. Stage 6 is starting to look a lot more like your special dress! Fastenings, lining and boning if required is added and at this fitting stage you need your shoes for the length to be made spot on! We can also decide on the finishing touches, such as beadwork, belts and veils. 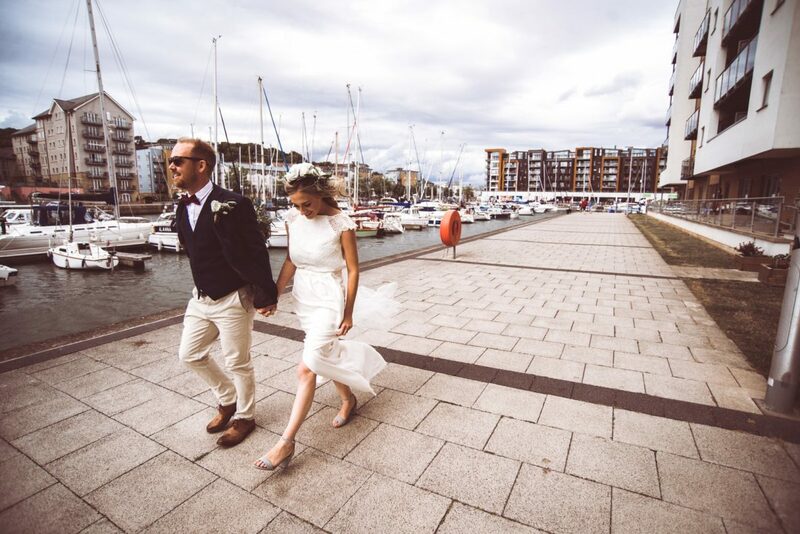 The final fitting – this is usually a few weeks before the wedding, to check for any size changes and make sure the dress is exactly how you would like it. So, all-in-all, having a bespoke dress can sometimes take the pressure away of having to find a dress that gives you that butterfly moment. You can change so many aspects of the dress design as we go through the process, usually at no extra cost! Also, all of our bespoke dresses are made-to-measure so no extra alteration costs, and all costs are clear before we start the making. 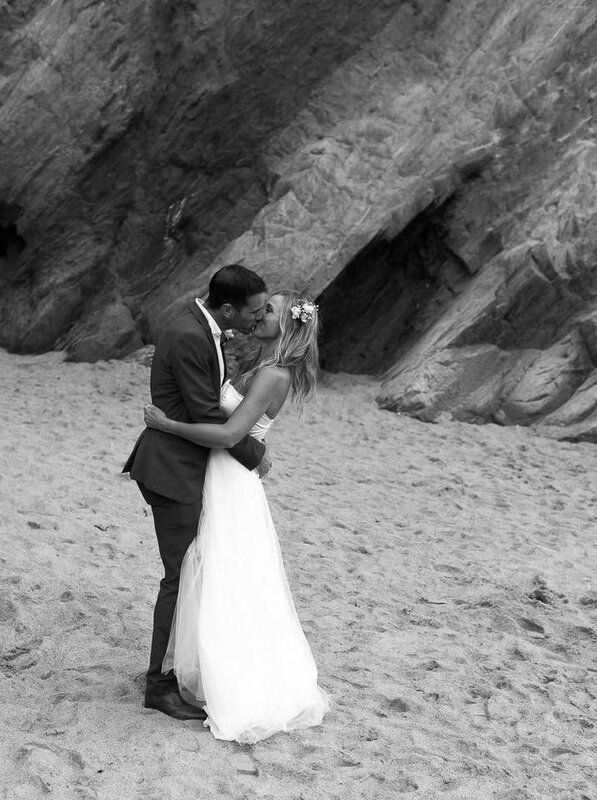 A bespoke dress can involve 4-6 fittings after the initial design meeting so don’t leave it too late to have your dream dress created! If a full bespoke dress isn’t for you but you like certain aspects of a dress you have found elsewhere then we can create something to make your dress extra special and unique to you! – how about changing the straps, adding beadwork or lace, or having a bespoke jacket made to change up the look from day to evening? The customisation options are endless!